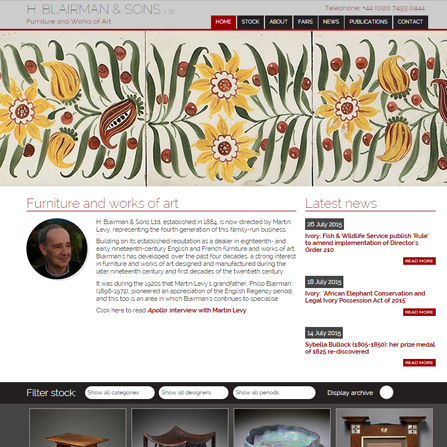 AC Website Designs where pleased to be able to help Paramount Digital Marketing create a new website for H. Blairman & Sons Ltd, Furniture and Works of Art dealer. 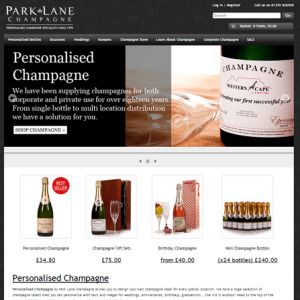 Given the design from Paramount’s design team, we converted the PSD in a fully functional, responsive website. 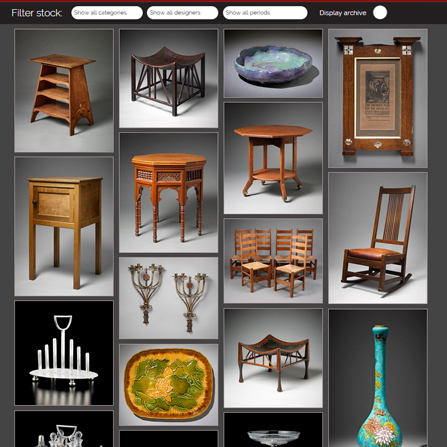 The website features and wide range of pieces of furniture and works of art in the Blairman portfolio displayed in a revolutionary ‘infinity scroll’ section which is filterable so that visitors to the site can pick out the exact item they are after. 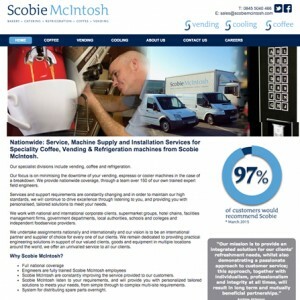 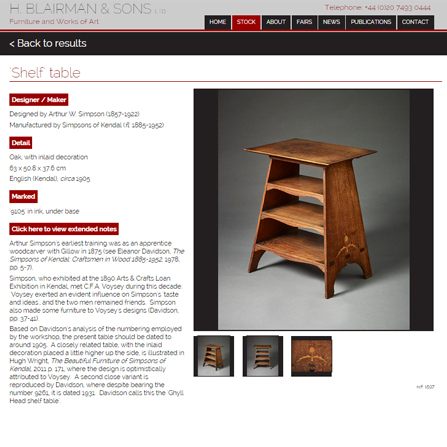 Blairman also have the ability to add and edit new works of art and furniture pieces through the CMS as well as regularly updating the news section and the future events page.